Roland Cloutier, CSO at ADP and one of the “Most Influential People in Security” according to Security Magazine, discusses the top CISO priorities and his decision to deploy Bromium to prevent data breaches. In this Q&A discussion, Mr. Cloutier shares his perspective on the CISOs’ top concerns, how to protect your enterprise from advanced cyber attacks in a mobile and cloud era, and where to put your security dollars. 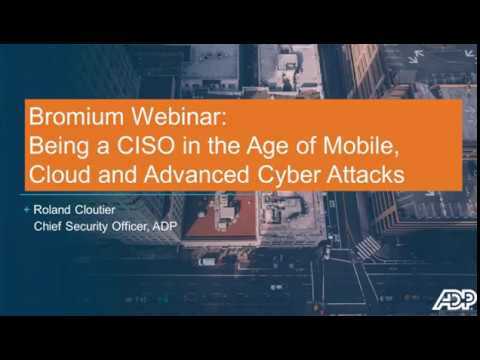 Mr. Cloutier also explains how ADP moved to a protect-first approach to proactive security using micro-virtualization, and how they deployed Bromium at scale to prevent breaches rather than react to them.